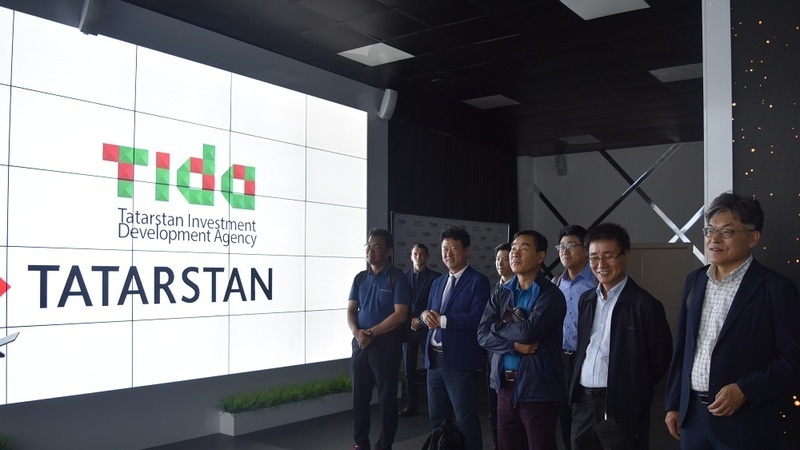 The delegation of business mission of South Korea visited Tatarstan Investment Development Agency The Head of Tatarstan Investment Development Agency Taliya Minullina told the guests about benefits of working in Tatarstan for investors. Entrepreneurs expressed their interest in cooperating with Tatarstan. Representatives of Korean business visited show room for investors and also met with Taliya Minullina. The Head of the Agency provided the investors with details of opportunities that investors working in Tatarstan get, including tax preferences, convenient logistics capabilities, project support throughout the implementation stage. The members of the delegation noted, they have already got the experience of cooperation with Tatarstan and were pleased with the level of stability and security for foreign companies. The guests also stated they consider Tatarstan as a platform for their productions due to convenient geographical position of the republic, openness of the authorities to new investment projects profitable terms for international companies work.